Harvard students and alumni will testify in support of Harvard during the admissions trial this week, defending its "race-conscious admissions policy" against claims that it discriminates against Asian-American applicants. The trial is the latest chapter in a lawsuit filed in 2014 by Students for Fair Admissions (SFFA). Harvard University has been accused of "balancing its undergraduate classes to ensure that it had admitted its desired share of students of each race and ethnicity" and also for penalizing Asian-American applicants by "systematically giving them lower scores on a metric admissions officers use to measure personality." Adam Mortara, a lawyer representing SFFA, stated that the university scores applicants in four categories: academic achievement, athletic ability, extracurriculars, and personality. While referencing admissions data, he concluded that, despite their higher academic performance, Asian-Americans are admitted at lower rates. 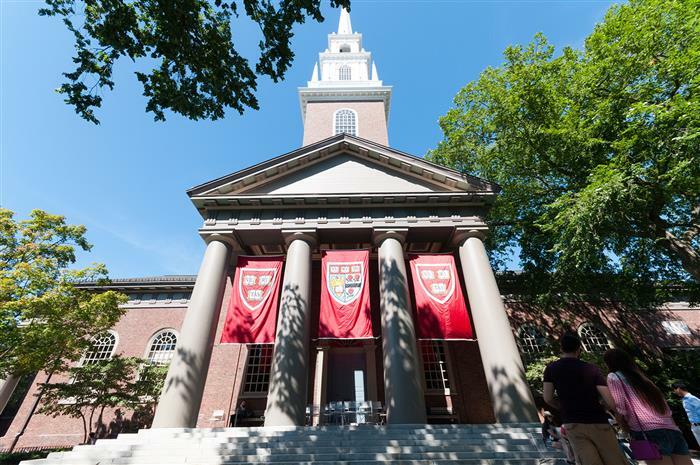 Harvard's lawyer, William Lee points out that, while the university does take race into consideration during the admissions process, applicants are not accepted or denied admission because of their race. Race is one factor of many in "a system full of checks and balances," he says. The Harvard admissions trial also analyzes a "contentious political issue in higher education": affirmative action. Affirmative action refers to policies that give priority to students from underrepresented racial groups in the college admissions process. While colleges are able to consider race in admissions, it must be one of the many factors considered when evaluating a prospective student for admission. Schools must first use "race-neutral options," such as grades and test scores, to meet their diversity goals. For some such as Edward Blum, the university's "affirmative action policies amount to an illegal quota system that denies high-achieving Asian-American students admission in numbers commensurate with their qualifications." In Blum's mind, "people should never be judged by the color of their skin," even when it comes to the college admissions process. In your opinion, should race be considered during the college recruitment and admissions process? Why or why not? College is expensive, Scholarships.com is completely free. Pay for your college education with as much free college scholarship money as possible. By applying to all the awards you qualify for, you can be sure to not miss a single opportunity in paying for your college expenses - including tuition, fees, room and board. Get matched to college scholarships instantly and start applying today by conducting a free college scholarship search at Scholarships.com. So, you get outstanding grades in school and have excellent extracurricular activities. Does that ENTITLE you to get into Harvard? Maybe, Harvard as a private institution wants a specific type of person to add to its schools. Race should not be a determining factor for admission, but if they don't feel like you're a good fit, move on. There are many other schools that are just as good. Asian Americans are pushed throughout elementary through high school to be overachievers in all criteria that Harvard considers. This can tip the scales in their favor if they score high in academics, SATs, athletics, the arts, volunteerism, & more. This could give them quite an advantage. There are many high level schools that admit a disproportionate number of Asian & Indian students in comparison with other ethnic groups giving them what appears to be an unfair advantage. That coupled with wealthy Asian families donating to the school their children wish to attend to tip the success scales. With strict criteria of admissions requirements it sounds like students & their families are crying foul because they aren’t getting their way to be admitted to Harvard thereby given them bragging rights that that was their alma mater. Status is extremely important in these communities. If there were very few Asian students at Harvard then that would be a red flag. That is not the case. I believe Harvard in that race is not a factor in their admission. Who cares if the Asian student population is very high at this prestigious learning institution where they have an acceptance rate of about 5%. It takes work and a lot of effort to gain acceptance here, and if people don't put work in, then they don't deserve the privilege of attending it. If there's more Asian students who put in the work more than white, black or Hispanic, then drop it. You didn't get accepted into a school with an extremely low acceptance rate; so what? It's HARVARD! That's why we as high school students need to be prepared for this type of situation and apply to other schools that fit us. We cannot just fight back against THEIR decision by claiming that they're racist! That's just flat out stupid and unfair. If you put in the work and seem like a good candidate, they'll admit you. If you didn't or aren't fit for them, well then do something else and keep moving forward with your life. An internal study by Harvard’s Office of Institutional Research (OIR) said that absent the "personal and extracurricular ratings" that the admissions committee uses against Asian-American applicants, the typical Harvard class would be 43 percent Asian American. The 2017 class stands at only 20 percent. The process that Harvard uses to control outcomes is analogous to the practice of redlining certain minority neighborhoods - a historic practice in the banking industry. Federal courts have held that for the banking practice to be non-discriminatory it must be objective, determinant of creditworthiness and equally applied to all applicants throughout the bank's lending base. If the plaintiffs in this case can show that Harvard's admission policy reduced Asian-American enrollment as a result of subjective or irrelevant criteria or that was not equally applied to all other racial groups, they should prevail. Scholarships – Are They Really Worth My Time? YES! Smile – Scholarships.com's Awkward Back-to-School Photo Contest Has Returned! Smile – Scholarships.com's Awkward Back-to-School Photo Contest is Back! April is National Volunteer Month – Time to Give Back!